Hacking isn’t only for computers. Joseph Reagle, associate professor of communication studies at Northeastern University, describes another type used to make life easier. Joseph Reagle is an Associate Professor of Communication Studies at Northeastern. He’s been a resident fellow at the Berkman Klein Center at Harvard (in 1998 and 2010), and he taught and received his Ph.D. at NYU’s Department of Media, Culture, and Communication. As a Research Engineer at MIT’s Lab for Computer Science he served as an author and working group chair within the IETF and W3C on topics including digital security, privacy, and Internet policy. He also helped develop and maintain W3C’s privacy and intellectual rights policies (i.e., copyright/trademark licenses and patent analysis). 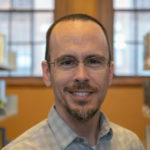 Dr. Reagle has degrees in Computer Science (UMBC), Technology Policy (MIT), and Media, Culture, and Communication (NYU). He has been profiled, interviewed, and quoted in national media, including The Economist and The New York Times. His current interests include life hacking, geek feminism, and online culture. Life hacking is self help for those with too much: Too much work, too much stuff, too many choices. As with computer hacking, there are useful, useless, and harmful life hacks, with nebulous boundaries between. By exploring these boundaries, we can better understand the challenges of the new millennium. For example, in an economy that prizes immediacy and flexibility, how do we manage time? Life hackers time-box their days and delegate their drudgery to the less fortunate overseas. Or, in a period of increasing uncertainty but ubiquitous monitoring, how do we know what really works? They track, log, experiment, and analyze every facet of life. We can best appreciate the strengths *and* weaknesses of this approach to life as two sides of the same coin … and then explore the edge of that coin. In Buddhist philosophy, a virtue, like compassion, has an obvious opposite or enemy, like animosity. It also has *near enemies*: pity can be confused with compassion and indifference with equanimity. Life hacking reveals the near enemies of contemporary virtues. Being efficient is not the same as being effective. Being precious about how few things you own is not the same thing as living a life unfettered. No one likes being sick, but compulsively checking your vitals is its own sort of illness. We all want to be loved, but continuous connectivity and sexual conquest will not save us from alienation. There is no greater virtue than wisdom’s insight, but Wisdom 2.0’s vision is blinkered. Systematized living allows the creative class of the 21st-century to focus, simplify, and block out distractions— at the risk of being waylaid by near enemies, of ignoring those at the periphery, and of stepping off the edge.